One point everyone walked away with was that your product and service must be strong, this comes out on top all the time. Before selling or marketing. If you’re product isn’t good and your customer service falls short then why waste money marketing a poor product! A family business can sometimes be a heavy task to take on but for Michael it’s a blessing. Michael’s dad Kevin started the business after working his way up from the shop floor in retail, to a traveling sales rep and finally became a distributor. Having worked in the family business from a young age, Michael helped grow the business organically and helped branch out into in the Scottish market. The sales profession starts early in the Flanagan family – Michael teaches his own kids the tricks of the trade. While they are too young yet to work in the family business they put their skills to use by selling their old toys on eBay! It’s clear that salesmanship is in the Flanagan family blood. Established in 1980 the business has rapidly grown to become a reputable leading wholesale distributor in the flooring market. 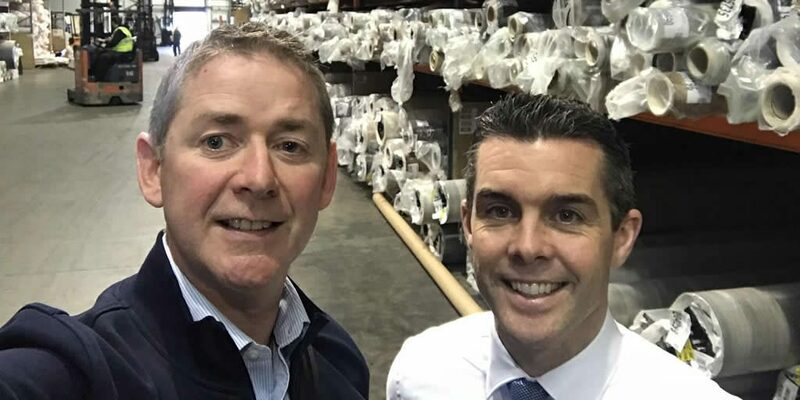 Flanagan Flooring is very much about the people so when they were faced with the recession in 2008, demand dropped and the need for employees dropped with it. Having to let people go was the last thing they wanted to have to do. Growing up in a family business environment with a work-hard ethic the Flanagan family weren’t going to fall at the first hurdle. 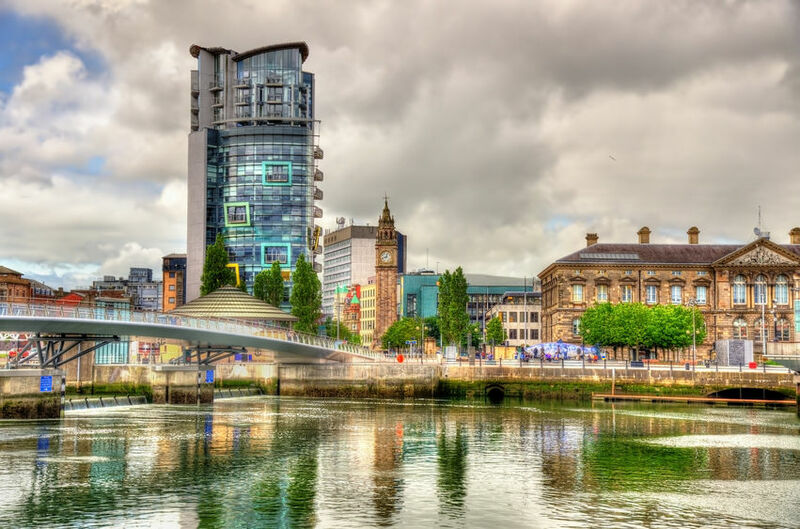 They saw this challenge as an opportunity and expanded southward into the Republic of Ireland, opening a Dublin warehouse and distribution centre. This business decision resulted in all employees keeping their jobs. It’s evident across the warehouse in Co.Down that everyone is valued and a huge sense of loyalty runs through the veins of the business. As a business owner myself I admire them for taking on such a huge challenge like this. Taking challenges in business don’t always work out but some may lead to business expansion and The Flanagan’s are great examples of a challenge paying off for the better! The power is in the follow up and this is especially true for Flanagan Flooring. Michael’s team are very organised in their follow up process. They use Next Actions in OnePageCRM to set themselves reminders for immediate tasks or ones in the not so near future. This means all customers and potential customers are followed up with in a timely manner, proving successful in generating new business. If you ever get the pleasure of meeting these guys you will definitely be welcomed with a smile. Thanks, Michael and Jonathan for the meeting! Coming face to face with the users of OnePageCRM across many different industries has been one heck of an experience. Now it’s back to Galway and the office with any and all of customer pain points. I hope the Engineering team is ready!